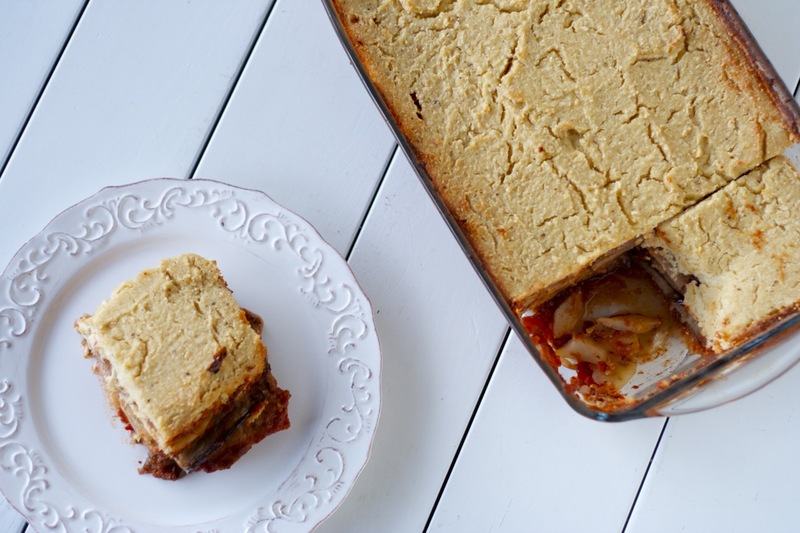 There’s a few things you need to know about this moussaka. One, it’s labour-intensive and your kitchen will be a mess. You’ve been warned. But don’t let that stop you, because the second thing you need to know is that it’s really good. Especially the cashew cream topping. The creamy, slightly tangy, nutty, vegan topping. Oh. Ooooh. Yum. 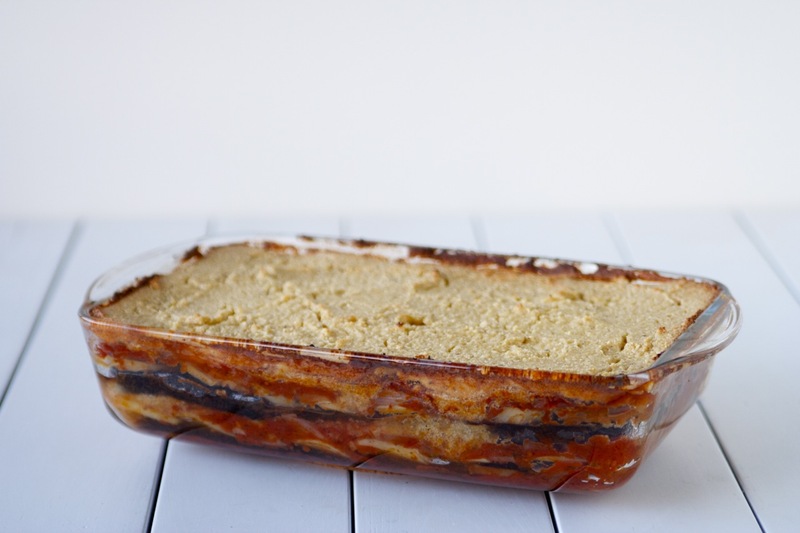 Eggplants are bountiful in farmers’ markets these days, so if you’ve got some time to spare and you’re not afraid of dishes, I say JUST DO IT. 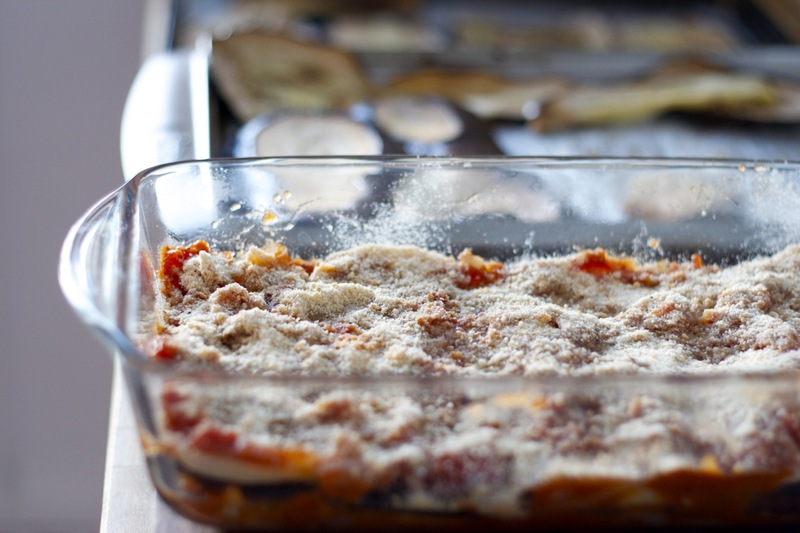 Eggplant: Cut eggplant lengthwise into slices about 1/2 centimetre thick. Sprinkle with a little salt and set aside in a colander for 15 minutes. Pat dry to remove excess moisture. Preheat oven to 400 F. Line two baking sheets with parchment paper. 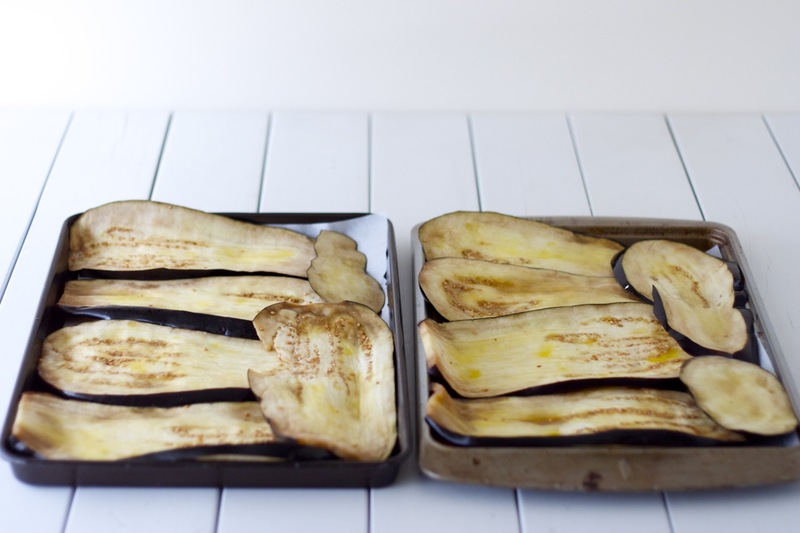 Brush both sides of the eggplant slices with the 2 tbsp of olive oil. Bake in preheated oven for 15 minutes, turning the slices once. Set aside to cool. Potatoes: Bring some water to boil in a large pot with a generous pinch of salt. 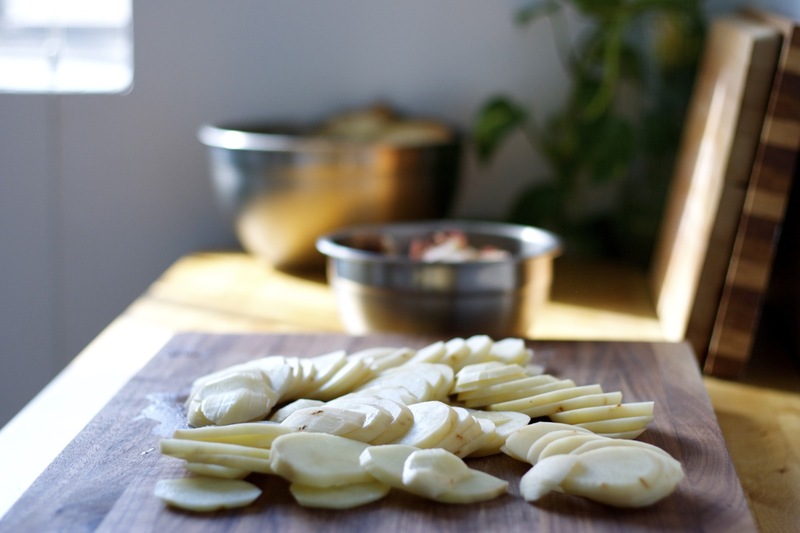 Peel the potatoes and cut lengthwise into slices about half a centimetre thick. 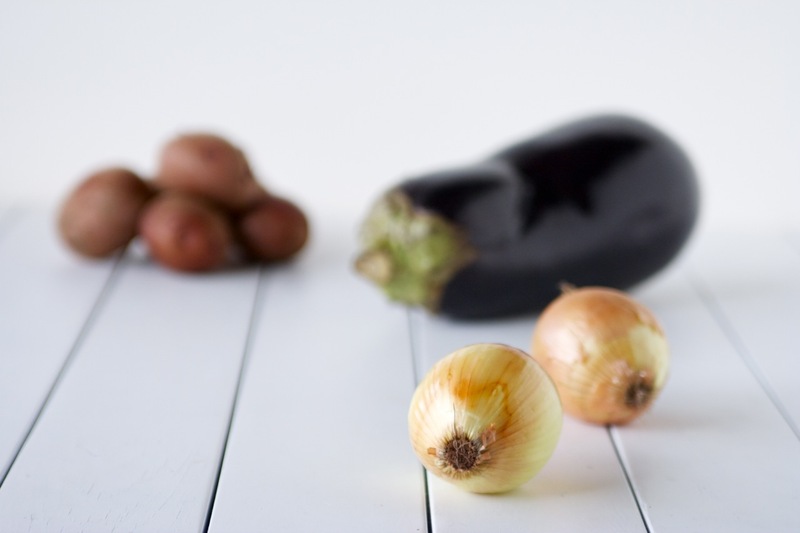 When the water is boiling, add the slices and reduce heat to a simmer. Parboil the potatoes for about 5 minutes. Drain and set aside. 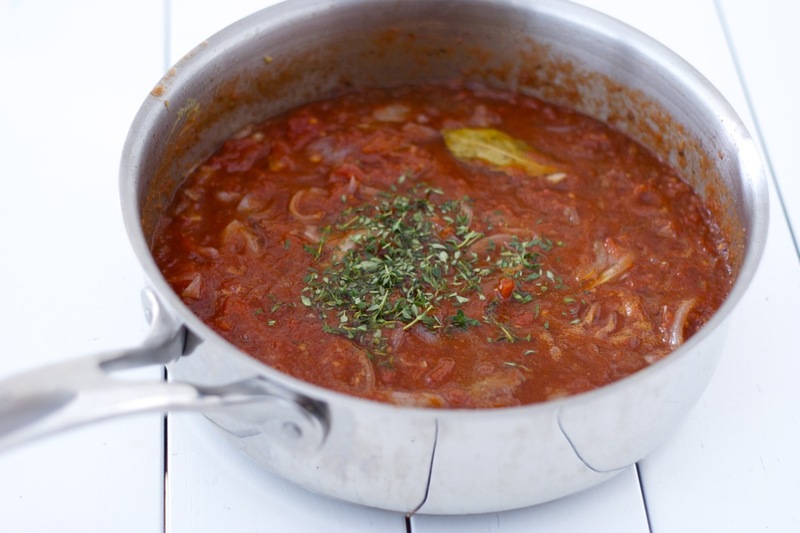 Tomato sauce: Meanwhile, prepare the sauce. Heat olive oil in a large saucepan over medium heat. 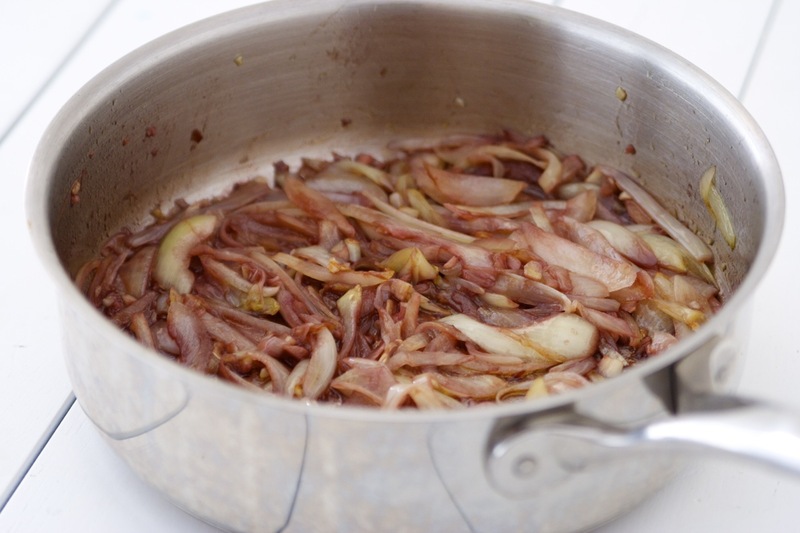 Sauté the garlic and onion for a few minutes, until tender. Add the wine and continue cooking for 3-4 minutes. Add the tomatoes, herbs (oregano, thyme, bay leaf), the cinnamon and season with salt & pepper, to taste. Note: If using diced tomatoes, I recommend to purée half (or all) of it prior to adding it to the saucepan, for a smoother sauce. Reduce heat to low and simmer, covered, for 10 minutes. Discard bay leaf and set aside. 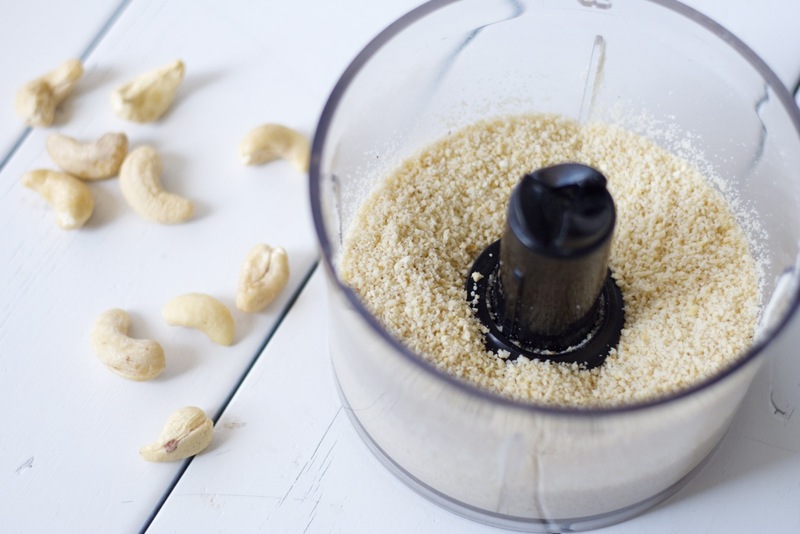 Cashew cream: In a food processor, pulse the raw cashew until very fine. 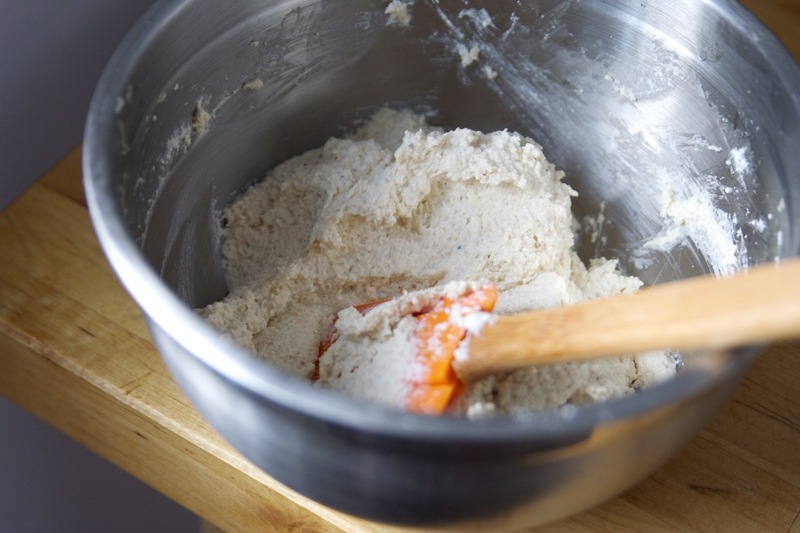 If you have a large food processor, add all other ingredients for the cashew cream and process until smooth (lemon juice, olive oil, maple syrup, drained tofu, garlic clove, whole-wheat flour, salt, pepper and nutmeg). 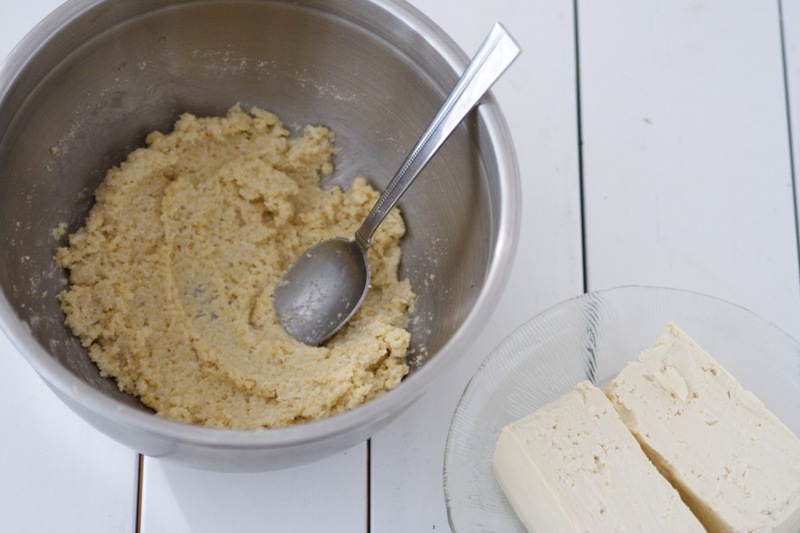 As I do not have a large processor, I used a hand blender to combine all ingredients in a medium-sized bowl: Ground cashew, lemon juice, olive oil, maple syrup, drained tofu, garlic clove, whole-wheat flour, salt, pepper and nutmeg. Bake in preheated oven for 50 minutes, until the top has become golden. Remove from the oven and let cool for 15 minutes. Slice and indulge. Serves 6-8.Recipe adapted from the Post Punk Kitchen and Peter Gordon’s Vegetables.